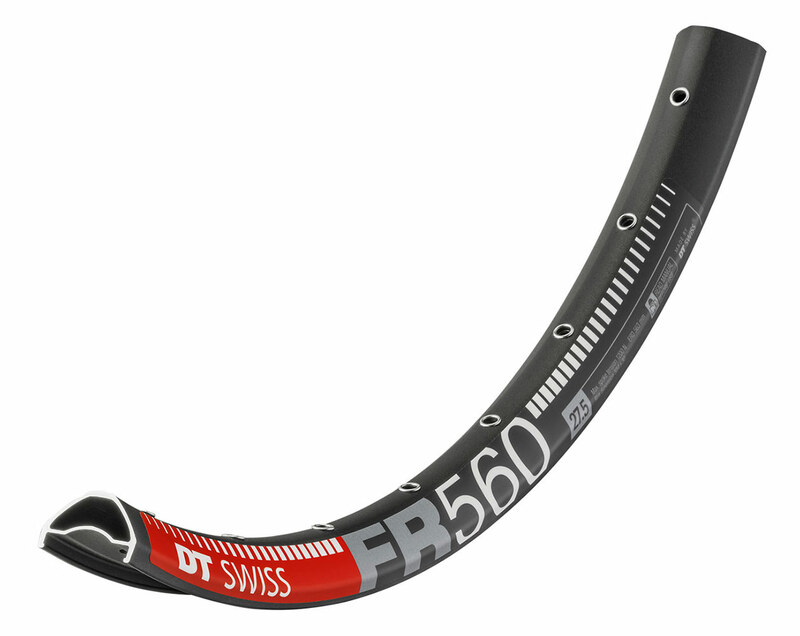 The FR 560 was made to withstand the nastiest of rock gardens, the roughest of roots and the sketchiest of landings. The prototype proved to be World Championship material and the final product is now available for you to shred as hard as you want. Available as a classic 26”, a 27.5” and as a 29” wheel. The 30 mm inner rim width provides your tyres with the support they need to fly through the berms at full speed. Available in: 26″, 27.5 and 29″, 32Hole Only. Weight: 26″ 570g, 27.5″ 595g, 29″ 635g. ERD: 26″ 538mm, 27.5″ 563mm, 29″ 601mm.